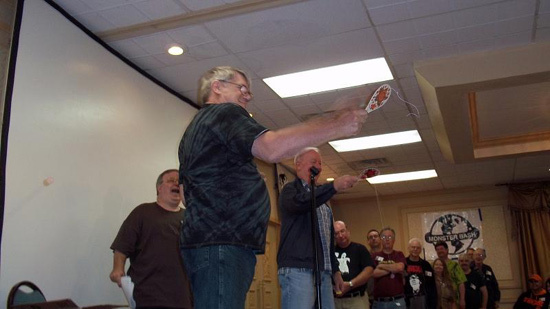 Photos provided by Barb Heiss, Kevin Slick, Brian Keegan, Theron Statler, Ted Lewczyk, Mark Statler, Henry Penn, Jerry Armellino, Michael Joyner, Karl Spisak, Phil Smoot and others - thank you! 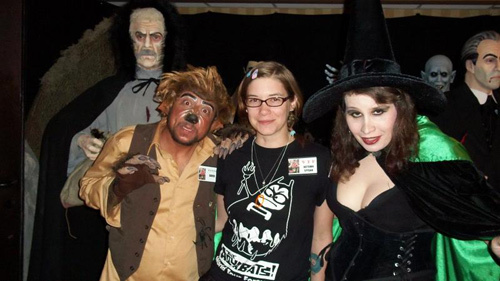 Garou, attendee Autumn and Penny Dreadful hanging tight at Bash! 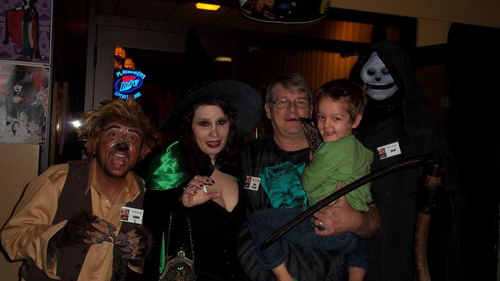 Karl Spisak and family Bash....whoahhh who's that SCARY one in green! 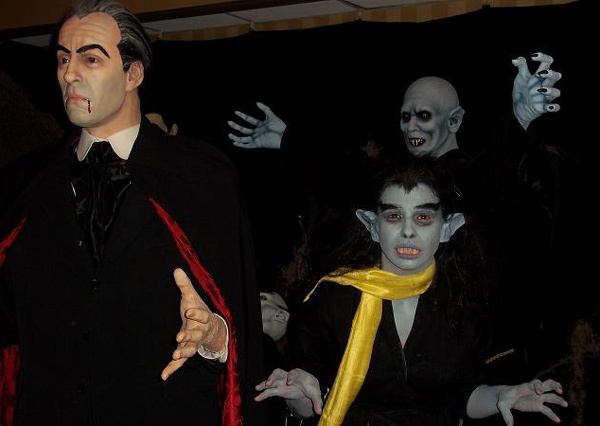 From hard, hard questions about the Universal classic monsters, reduced to paddle-ball like in HOUSE OF WAX, it's Tom Weaver's Monster Bash Brain-Twister Quiz Show. 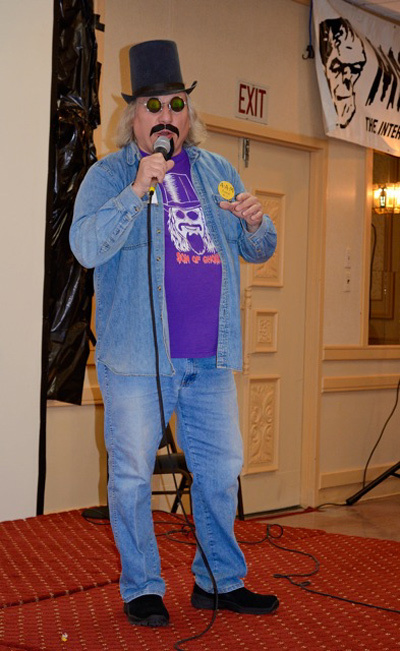 Ghoul A Go-Go TV Show characters Vlan and The Invisible Man slap Horror Host Mr. Lobo in the face with a cream pie. Mmmmmmm, good. 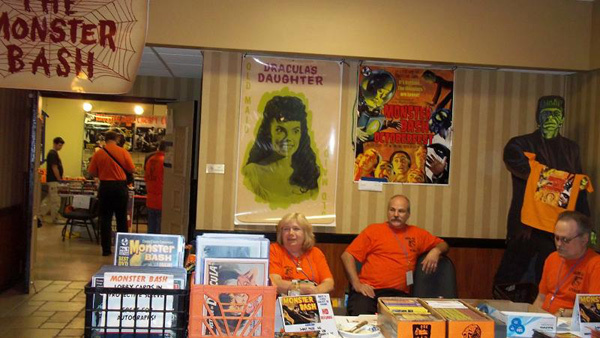 Monster Bash Registration, 3rd shift - Susan Armellino, Dan Zanol and Jerry Armellino. Things are still rocking in The Creepy Classics Room just beyond too. "Yep, that's me in my younger, more handsome days." Ursula Adams (with yellow scarf) and Ron Adams (in suit). "Yeah, she wore that on our wedding day." 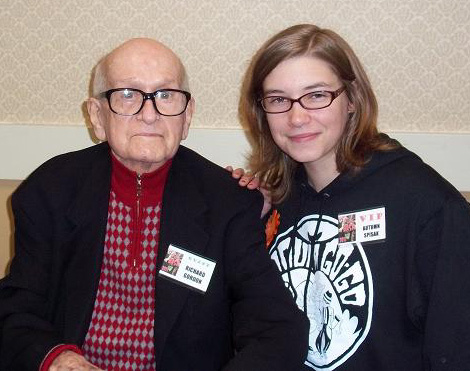 Monster Bash Guest of Honor, Richard Gordon, poses with attendee Autumn Spisak. 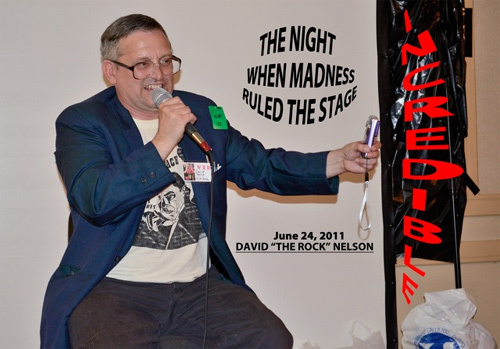 Friday Late Night at Bash...David "The Rock" Nelson couldn't be contained to a simple Q&A. What were we thinkin'? 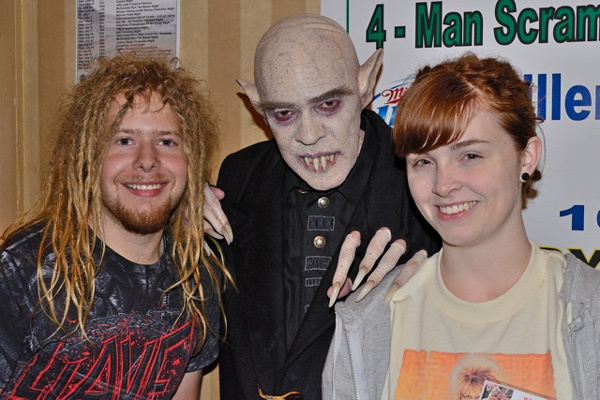 Dalton and Lauren were also impressed with a Mr. Nosferatu (did not catch his first name). 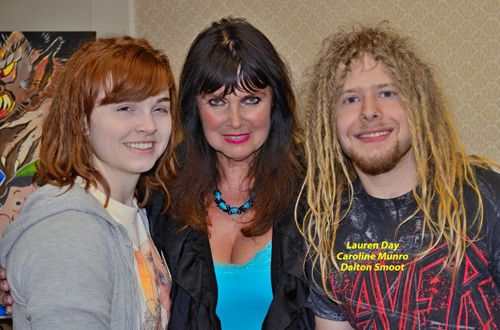 Lauren Day (First Time Attendee), Caroline Munro (2nd Time Guest) and Dalton Smoot (Heck, he grew up at Monster Bash!). 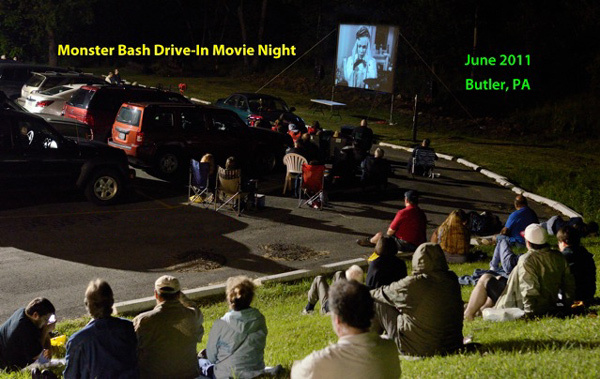 Drive-In Night at Monster Bash out back of the hotel. 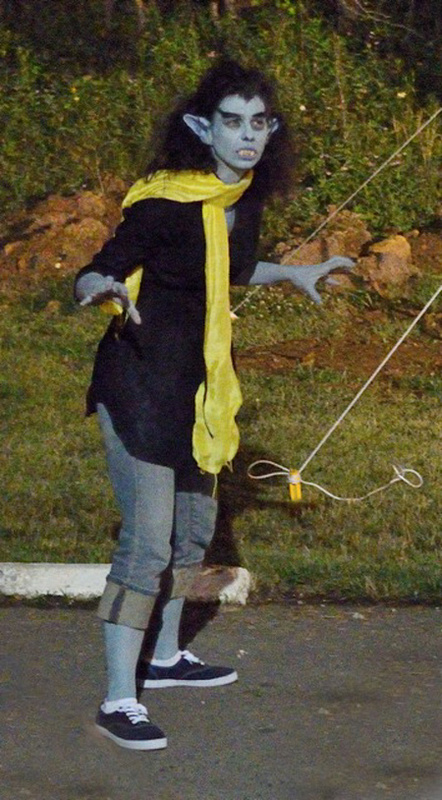 They've got Bug Spray...what about Vampire Repellant? 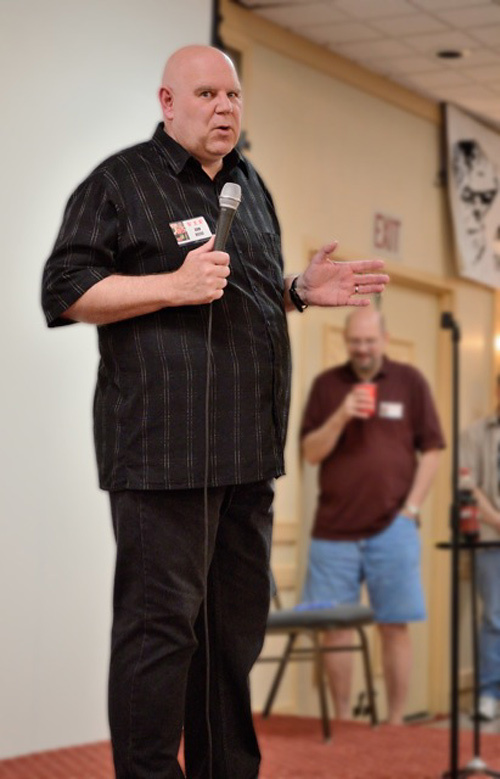 The funniest guy in MonsterBashLand - comedian Don Reese. 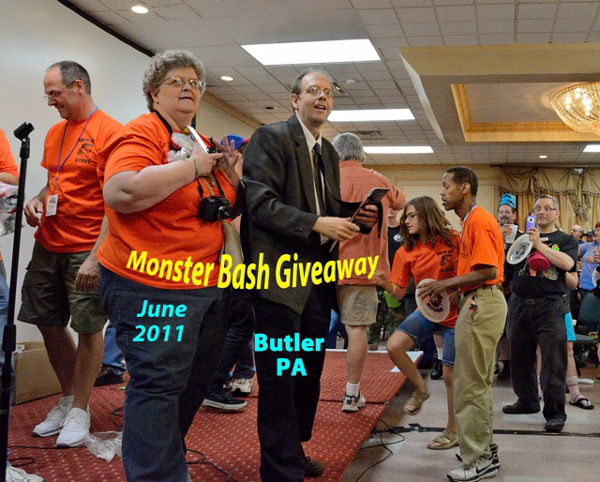 Just after midnight and we're giving away monster goodies! 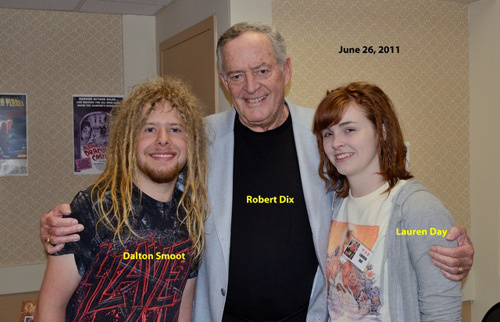 Robert Dix with attendees Dalton and Lauren. 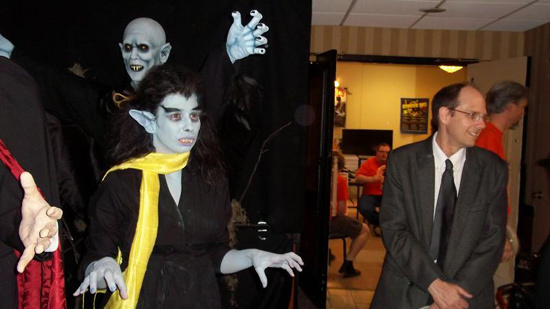 Ohio TV Horror Host - Son of Ghoul! Hammer Horror's Veronica Carlson with Lauren Day and Dalton Smoot.